BSAC says no! 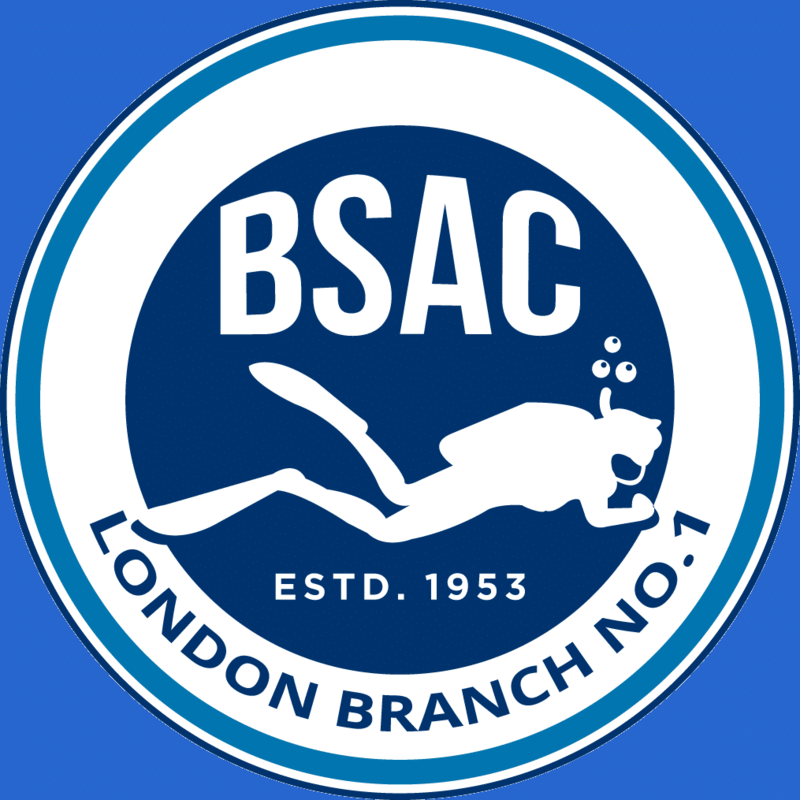 BSAC is not just a club, they are the SCUBA diving sports official governing body in the UK and they have decided that diving solo is not safe, and yet there are now several other training agencies that will train you to be self reliant on a dive and another one who will even train you to dive alone. With the limited opportunities I have to dive with the club this year I decided to take one of these courses to become better able to look after myself and not rely on an unknown buddy. Solo diving is an interesting situation. 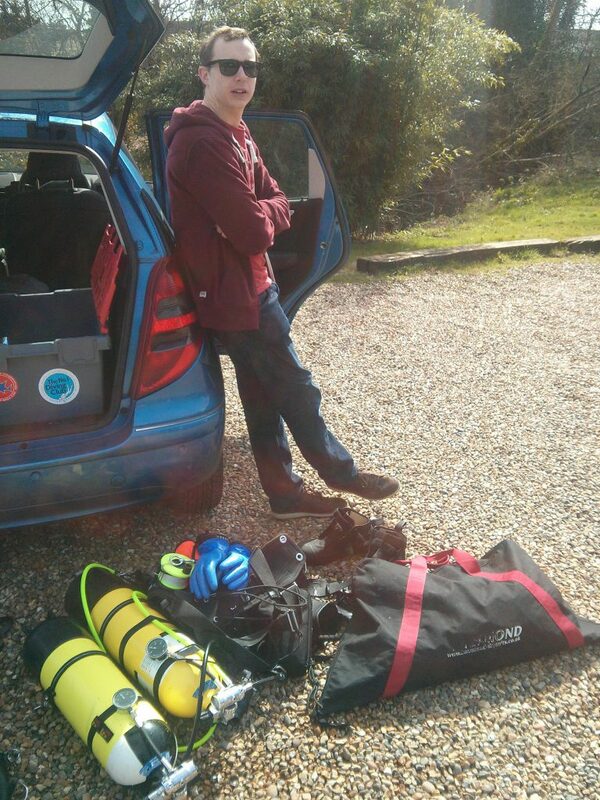 Would you consider yourself to be diving solo if you are an instructor training an unqualified diver? And what about if you get separated from your buddy? There are a several circumstances when diving when you simply can’t expect your buddy to be of any help to you should you get into trouble. When diving with someone you don’t know, you may find that they also can’t be relied upon in an emergency, at which point it could be too late. The training I took was the SDI solo diver training course at Wraysbury. 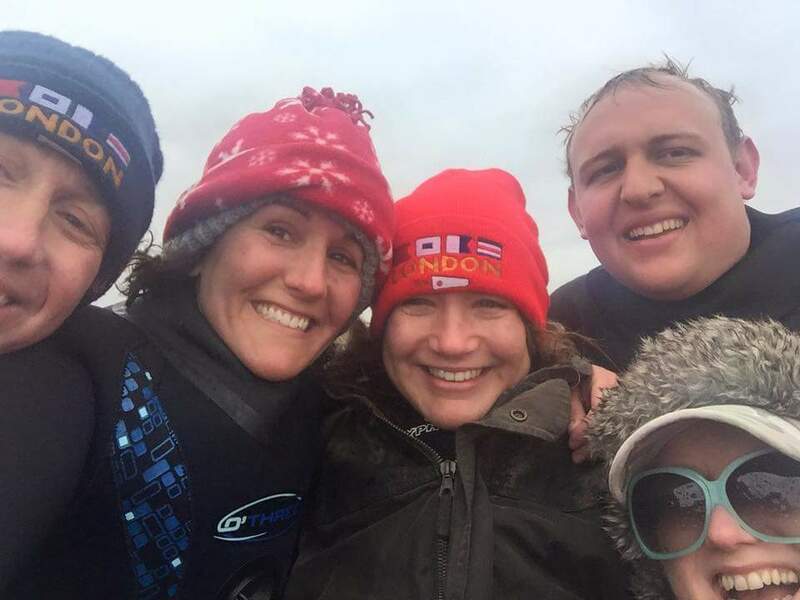 You need to be 21+ years old, qualified to Advanced Open Water (SDI qualification, somewhere between Ocean diver and Sports diver) and have logged at least 100 dives to do the course. SDI class the course as a recreational diving course, so you are limited to a maximum of 40m depth and no overhead environments, including mandatory decompression. SDI also stipulate that you must use a dive computer for all your diving. These limits obviously would only apply if you then go diving solo. The course covers everything you need to know to prepare, plan, and execute a dive completely by yourself. Extra equipment is needed including a backup air supply. This could be a pony cylinder, twinset with isolating manifold, an independent twinset, or a stage cylinder. 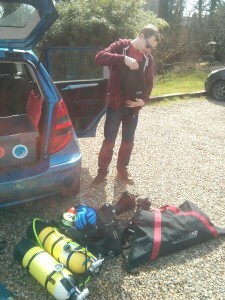 I dive with sidemounted independent cylinders which it turns out are ideal for solo diving. They are totally independent of each other so a problem with one wouldn’t affect the other. 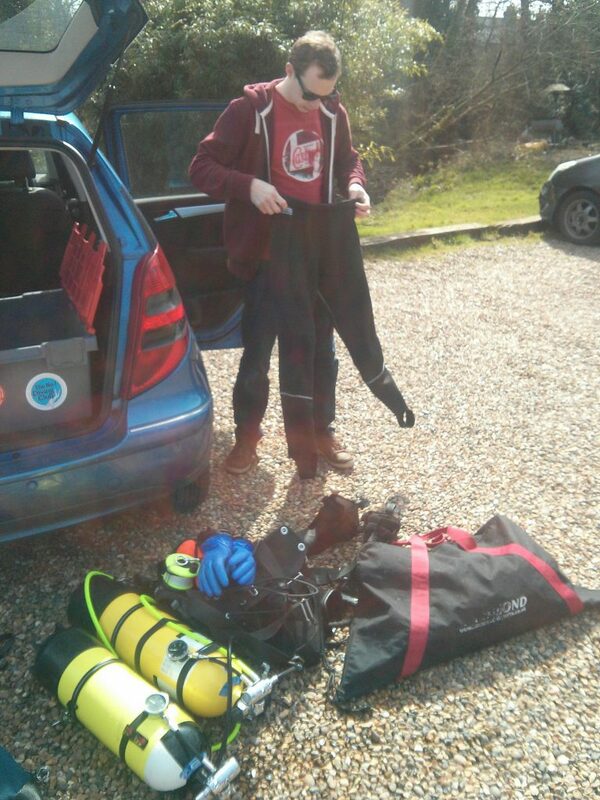 Other important pieces of equipment are backup buoyancy controls (drysuit is fine in open water), spare dSMB with reel, spare mask and cutters for lines and nets. 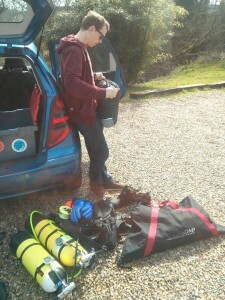 Other aspects covered in the course are proper (proper) planning of the dive. This covers gas requirements, no-deco limits, entry and exit points, route, navigation, time in and out, potential hazards, site conditions, and other practical considerations that could affect the dive. Having someone on the surface who knows your plan and what to do if you don’t make contact by a certain time is also an essential part of the preparation. The course also covers when not to dive solo. If you are someone who doesn’t keep an eye on your gas supply and dive computer, or you aren’t very thorough when checking your kit then solo diving probably isn’t for you. There will also be times when you could dive solo but aren’t really in the right frame of mind for it. Part of your pre-dive checks includes asking yourself “am I prepared to get myself out of this if something goes wrong”. And then there are some helpful tips on avoiding a Lance Corporal Jones style “DON’T PANIC” moment. that you are paying attention to the time during the dive you are asked to deploy your dSMB at a specific time, and you also show you can navigate around the site by visiting specific features. It was slightly strange being in the water by myself, but it was very nice to be able to dive without trying to keep tabs on someone else, especially in the typically low visibility of Wraysbury. It was also nice to be able to spend as much time as I liked looking at stuff that I wouldn’t want to hold my buddy up for. Things like the crayfish, mussels, and the bryozoans are quite nice to have a bit more of a look at. Also, diving in Wraysbury meant there were a lot less hazards than diving in the sea so it was easy to relax during the dive without worrying about entanglement, DCS, or getting lost. Will I be diving solo again myself? Probably, but only under the right circumstances, and only if a suitable buddy is not available. I have learned a lot from taking this course. The benefits of diving with a good buddy, the situations where you would be better off by yourself, and areas where I can further improve my own diving. I also have a greater appreciation of the responsibilities we have to each other but also how brilliant it is to dive in a club where the enjoyment and fun of diving is further enhanced by people with a great attitude to diving safely with each other. Thanks everyone, and I hope to be diving with you soon. At the end of March I combined two of my great passions: traveling and scuba diving. 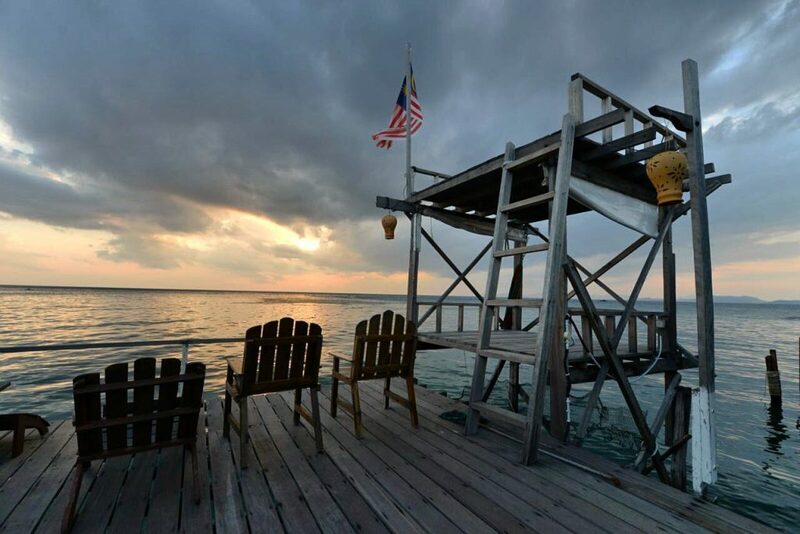 While on a whirlwind of vacation in South East Asia I followed advice from a Malaysian scuba diver friend who insisted the best place to dive in the world was at Sipadan, off Borneo. Sipadan was formed by living corals growing on top of an extinct volcanic cone that took thousands of years to develop. The huge pillar that forms the atoll functions as a shelter for many sea animals and fish and this attracts the whole food chain even the biggest fish of the oceans to this area. Thousands of species of fish swim amongst the coral, an abundance of turtle species can be spotted and sharks are common visitors as well. 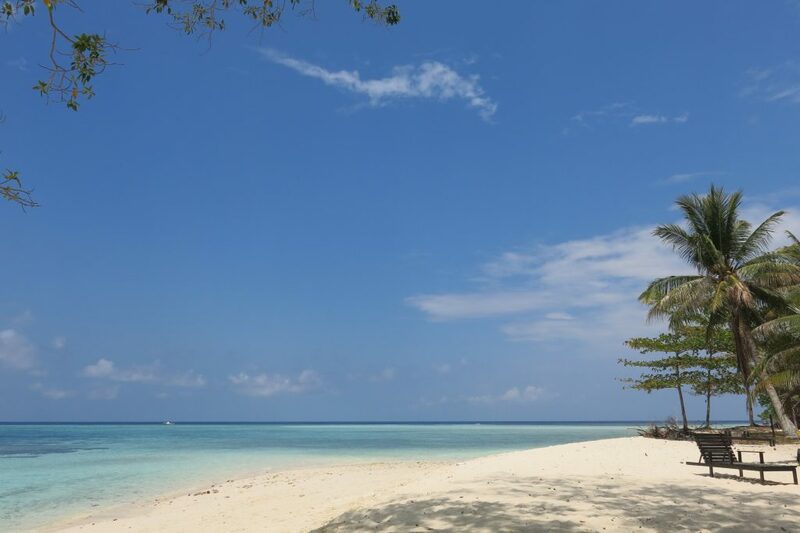 It helps that Sipadan is a protected area, you cannot stay on the island itself and there are only 120 dive permits per day distributed to the dive operators in the area. Operators request you to dive with them for four days one of it is at Sipadan. Early booking is highly recommended. 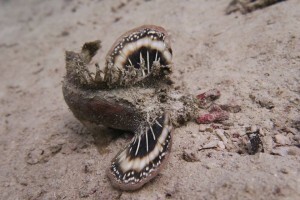 The non Sipadan dives are around Mabul Island and Kapalai resort. I found these dives to be superb too and conditions matched of those of Sipadan: 29 degress 12-20 meter viz and calm waters. The main difference is that there are sharks (grey reef and white tip) at Sipadan and the number of each specie you can see there. At one point we swam in a school of 2,000 big eyed trevally! I will not try to give a detailed list of fish names you can see in those waters. Some of the highlights were for me, in growing size order: a tiny seahorse hiding in a coral, a hunting flamboyant cuttlefish (this was quite an attraction!) and a hammerhead shark. I also saw for the first tim e octopus changing colour, crocodile flathead, orangutan shrimp, spiny devilfish to name a few. In times like this I wish I knew more fish names and was more observant! All in all in my modest dive experience Sipadan and Mabul did live up to their reputation. I also liked and would recommend the dive operator I used: they were efficient, professional, environmentally concerned and locally focused. It was interesting to see that many dive leaders and indeed guests were from Scandinavian countries: apparently their governments do not discourage from traveling to the area. While security is a concern in the area in my view all the measures are there to keep you safe and sound and would recommend a visit to this paradise! Organising and running a dive trip is very satisfying. In one way it allows you to go to areas you want to visit and put the emphasis on the dives that you want to do, but even more rewarding is knowing that you are providing an opportunity for others to share in the sport you love. As part of my journey to becoming a BSAC Dive Leader I have now organised three trips and each one has been more challenging than the last. My main objective when choosing a location as trip dive marshal is to make the logistics as simple as possible and to choose sites that have the best visibility in the area. Like many of the sites on the south coast , Plymouth fits the bill and as it is so good I chose to extend the three day bank holiday weekend trip to four days. 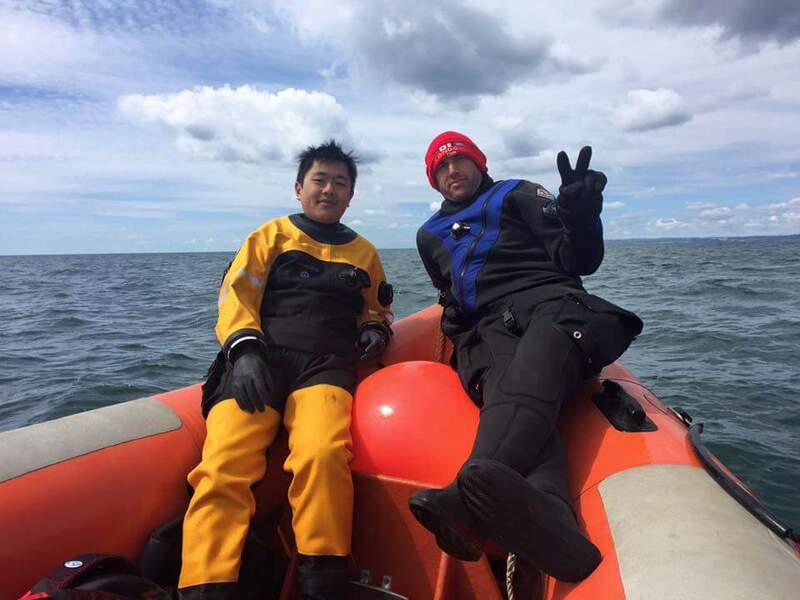 On our trip were 8 divers and two non – divers who came down to enjoy the area and the company. I had checked the weather and I knew day 1 would be fine and the “vis reports” Facebook site said that Plymouth was the place to be. 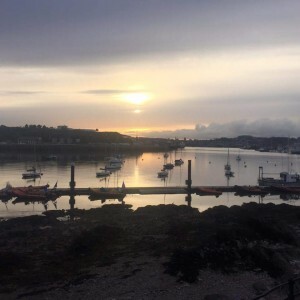 The Mountbatten Centre is a purpose built watersports and accommodation centre with a pontoon and air fill station attached, so it ticks all my logistics boxes. Day one involved two great wreck dives in vis of 8 to 10 metres. HMS Scylla is a navy frigate sank deliberately for scuba diving about 12 years. Large holes have been cut to make it safe to enter and exit the main internal spaces. It looked imposing in the clear water and the bright light gave Verity and I the confidence to explore inside some of the hold space knowing that the well lit exit was right in front of us. After a bacon bap for lunch it was time to take on the most popular wreck dive in the UK, the James Eagan Lane. This was one of the Liberty Ships made by the United States to help keep Britain supplied from across the Atlantic in the last war. It was sunk in 19zz full of cargo. With such good vis and brightness, Aidan and I were able to explore many parts of the wreck , and it’s vast array of contents. 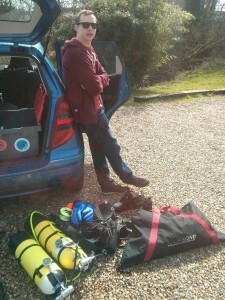 I finished the dive by deploying a dsmb mid – water as part of my dive leader training course. After discussions with Alex and Keith I had three alternative plans for day two to cater for the uncertainty with the weather. Our club rib “Percy II” showed it’s strength against the wind and waves for our 12 mile journey to Hands Deep reef . The journey was worth it, with my best UK dive ever. The sheer beauty of the surroundings, wildlife and the good vis was superb. And on top of that we even found slack tide! As the weather worsened we surfed back to Mountbatten on top of the wave-tops at lightening speed. After our picnic lunch we headed out again and found a sheltered spot near Shags Rock for a pleasant dve in underwater gardens and forests. 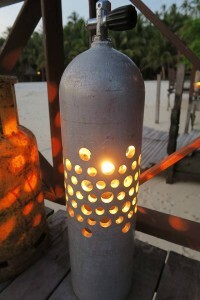 Sunday evening was spent at the very welcoming Clovelly Bay Inn, before a welcome nights sleep. Day 3 was our much needed rest day. After exploring the newly restored Royal William Harbour area we watched contestants in the single handed Transatlantic Atlantic Yacht Race make their valiant start in very lively winds. It was great to be in the rib waving at many of them and some even waved back! To me it is a Plymouth dive tradition to dine at Platters fish restaurant in Plymouth. This year they did not let us down. I cannot believe Keith and I got through all those mushy peas! Keith once said to me that of you find good conditions on a dive trip don’t be afraid to go back to them rather than take a chance with a new site. So for our last day we repeated our trip to Hands Deep and then the Scylla. Aidan managed to find the famous North Wall of Hands Deep and I was blown away. The carpet of multi coloured jewel anemones was like a giant pick and mix sweet stall. Who needs to go to the tropics when this is on our doorstep? Aidan showed me what exploring the Scylla was really about and it was by far my best wreck dive ever. Going through the large hole up into the bridge of the ship was amazing. In the sunshine and good vis, we went along corridors and into and out of rooms with confidence. Altogether a great four days in Plymouth and a great celebration of British diving. 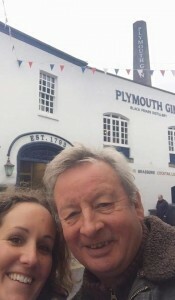 Thanks to Sofia, Wendy, George, Alex, Verity, Aidan, Keith, Peter and Jennifer for a great weekend. A special thank you to Verity for taking the photos and being a wizz on Twitter and Facebook. We have put this new site together in a way that makes it easier for club members to keep it up to date. 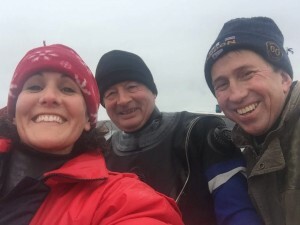 We hope that dive marshals will be able to add trips reports, blogs and photos and the site can be a key port of call for members to find out what’s going on, book trips and get useful information. Furthermore it pushes to the front all the new media we are creating in the form of our youtube channel and twitter. If you have ideas for great content that can be uploaded let Aiden or Barny know! 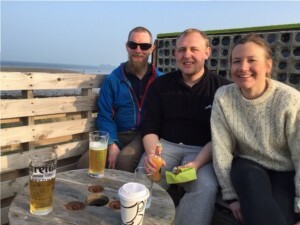 With Easter early this year, the season started even earlier – the DO keen to ensure his high standard of safety were achieved for the rest of the season had us all down in Portland on the 11th March ready to practice rescuing one another! The conditions above the water were near perfect as we headed out of the harbour on Saturday morning, with the nerves of the Dive Leader trainees hardly showing as we pulled the throttle back on the RIB and Alex reached for his freshly minted plastic cards of tricky scenarios that were about to unfold. … and so we had people showing their fulling acting skills as a plethora of disasters from “engine failures” to “lost buddies” unfolded. The oxygen tank was deployed to good effect (and mostly people remembered not to actually switch it on!). Overall the morning was a formidable success – even if the max bottom time was 6 minutes! So with the hard work done, we set off on the more serious matter of collecting some dinner for the evening; the site of our provisioning: Lulworth Banks (and a little top up from ASDA). Now the visibility was not that great (above the water or below the water, with some fog banks moving through to keep the boat driver on their toes) which did make finding scallops quite tricky (although we saw quite a lot of Plaice – they were not on the menu so they were left to relax), but between the crew we pulled up about 25 – enough for a decent meal, ably prepared by Nathan and Sofia.